There are vast numbers of shopping carts available, and a quick search will yield an overwhelming number for your review. Sorting through all of them can be exasperating! They can range from free to thousands of dollars. Selling online can be a great way to expand an existing business or start a new one, and a good shopping cart can make all the difference in the success of your business. Asking someone to print out a form, fill it out and mail it just won’t make it in today’s world of the web! Sites like eBay and Etsy let you sell within their sites and use their shopping carts. You benefit from their traffic and marketing but they control the look and functionality of their site as well as other restrictions. They are often a good addition to your own website shopping cart . When a client asks us to help them find a shopping cart, we suggest they start with the feature lists from different cart vendors. You could copy all the features into a column in a spreadsheet. Add a column to assign priorities: 1 = must have, 2 = should have, or 3 = nice to have. Then sort features by priority and add columns for each cart being considered. This feature-oriented process helps clients focus on what they need. Using a feature list helps figure out whether they need a basic cart or a more complex one. While looking through the feature list, try considering exactly what you want to accomplish. Is the online business your entire business or just part of it? Does the shopping cart need to integrate with an accounting system, for example, QuickBooks? What are your products and how complex are they – for example, do the products have lots of options and are there quantity discounts? Not all simple carts can handle these kinds of options. There are other important cart features to test. Do you want customers to see their order status online? Can you easily edit all outbound emails used to confirm sales, notify customers when a product is shipped, and so on? If your online business has several employees, can you restrict the reporting to just certain users? How hard is it to add options to products? Another great question to ask is, how is credit card data stored in the database? Credit card processing companies have strict rules about storing card data. We suggest avoiding storing any important customer data. Let payment-processing services handle that risk. Once you have evaluated all the features you need and have sorted them into “must have,” “should have,” and “nice to have” features, the next step is to evaluate actual shopping carts to determine what works best for your business. If you only have a few products to sell, or you want to test the waters for your business, then you have a couple of options for selling online. eBay, Half.com, Etsy, or a similar site might work for you. 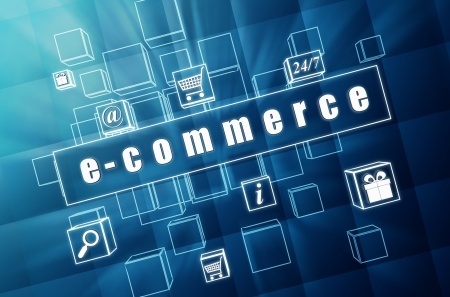 Your second option, when you have only a few items to sell or don’t have the volume of business to justify getting your own merchant account, is to use the payment-processing capabilities of another online service, for example, PayPal and Google Checkout . They let you use their site to configure your products, and they generate payment button code that you can copy and paste into your web pages. The code creates a button on your web page that, when clicked, sends the site visitor through their service for payment. While the cost per transaction is probably higher than what you would pay through a merchant account, their services are a great tool for a very small business. PayPal currently charges 1.9-2.9% of transaction cost plus 30 cents (USD) per transaction. There are no monthly fees and no setup costs. They provide detailed accounting for anything sold using their Buy Now buttons. Support for PayPal is through their online help pages, email, or phone. They’re a large organization and it can take time to get a proper response. But the response typically is thorough. Sometimes the PayPal payment page makes it a little hard to figure out how to pay with major credit cards. The most obvious part of the payment page is the PayPal login box. It’s only when they notice a small image of credit cards and a “Continue” link that users realize you don’t have to log in to pay with a credit card. In the past few years, Google has jumped into the online payment market with its service, Google Checkout. This service uses Buy Now buttons to process payments through any web site. To use Google Checkout, you’ll need a Google account. Then use their service to verify your bank account details. The validation process is similar to PayPal’s: Google deposits a small amount of money to your account, then you tell Google how much they deposited. To create a Buy Now button, log in to Google Checkout and select the Tools tab across the top. Then the Buy Now buttons link on the left or center of the page. From here, it’s easy to generate button code you can copy and paste into your web pages. When your site visitors click your Google Checkout Buy Now button, they’ll be taken to a simple web page at Google that lets them enter their payment details. This is much more direct and obvious than PayPal’s initial payment screen. Google Checkout currently charges 2% of each sale amount plus 20 cents (USD). If you use Google AdWords and link it with your Google Checkout account, you can receive free transaction processing in some cases. Google does hold back a reserve amount to handle chargebacks if they believe you have an excessive number. Buyers also have the chance to provide a customer review. You can respond to the review if it’s negative, but Google will remove a review only if it’s hate speech or not constructive. Support for Google Checkout is primarily through help pages and forums, which are quite extensive. It appears phone support is not available. 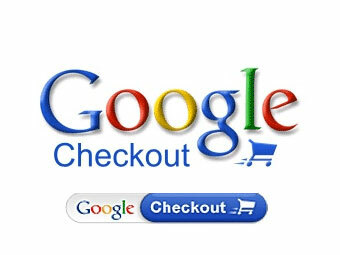 As with PayPal, Google Checkout also can be used as a payment processor in shopping carts you setup on your website. When used as a payment processor through a full-featured shopping cart, the buyer can store their payment details once with Google and won’t have to enter their data at your site. After businesses mature and expand, most will obtain their own full featured carts. By then they more about what features they need. There are currently quite a number of free carts, and they may meet your needs. Several can be installed directly in your Khimaira-GreenEarthHost cpanel via Softaculous installer. 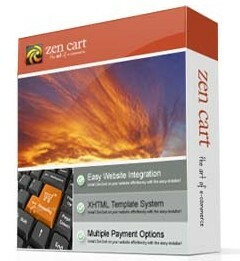 We currently have Zen Cart and OsCommerce. By request and review, we can also enable others to be installed via Softaculous. You can review other options here (go to E-Commerce). We suggest you read through some of the reviews to see what other users report. You could also choose another commercial cart. A popular one is X-cart. It is very configurable and most people find it intuitive. Their help materials are extremely comprehensive and will answer most questions, but technical support is also available. Prices are reasonable and there are many addons available through other developers. We can purchase on your behalf and install it on your website, and then you or your webdesigner would customize. Or, you can purchase and install it yourself. Click here. If you would like for us to purchase and install X-cart, Contact Us for current pricing. If you are using WordPress, Woo Commerce is a popular choice. Some templates have it preinstalled and ready to use. There are many more choices, but these are some that our clients have found useful. We hope this information has been helpful to you. If you have questions, please contact us.